I have been thinking about this recipe for quite some time and in my head, I wasn’t quite sure how I felt about chocolate with cinnamon. 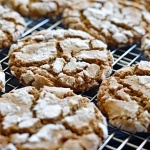 But I can assure that you will find yourself eating every single one of these Mexican Crinkle Cookies! Oh, and did I forget to mention that I was able to make them completely egg and dairy free? That’s right, these babies are VEGAN. 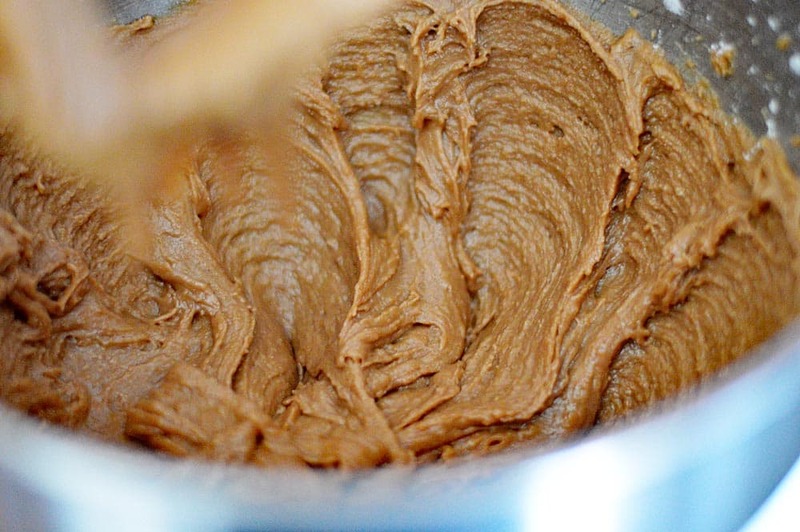 You’ll know these cookies are going to be pretty special the minute you whip up the batter. The aroma is just heavenly! As you can see, the batter (or dough) is pretty soft so it’s super important to chill this one until it’s firm. We’re going to be scooping them out in portions and rolling them in powdered sugar before they bake. 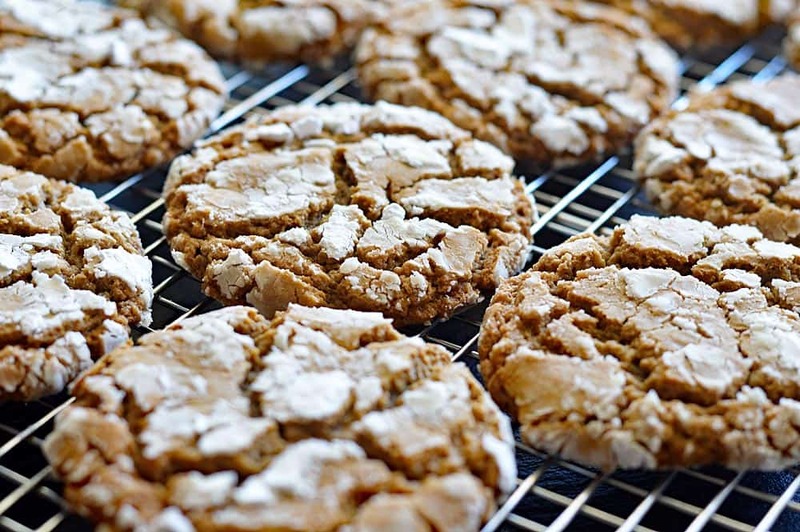 As they bake, the powdered sugar creates this cracking or crinkled effect. The cookies will still be somewhat tender straight out of the oven, so let them cool on the cookie sheet for about 2 minutes before attempting to transfer them to a rack to cool completely. If they last that long! I was eating them warm and I must say, that was my absolute favorite way to enjoy them. They are chocolately, a little spicy from the cinnamon and sweet from the powdered sugar. I will be making these again and again! 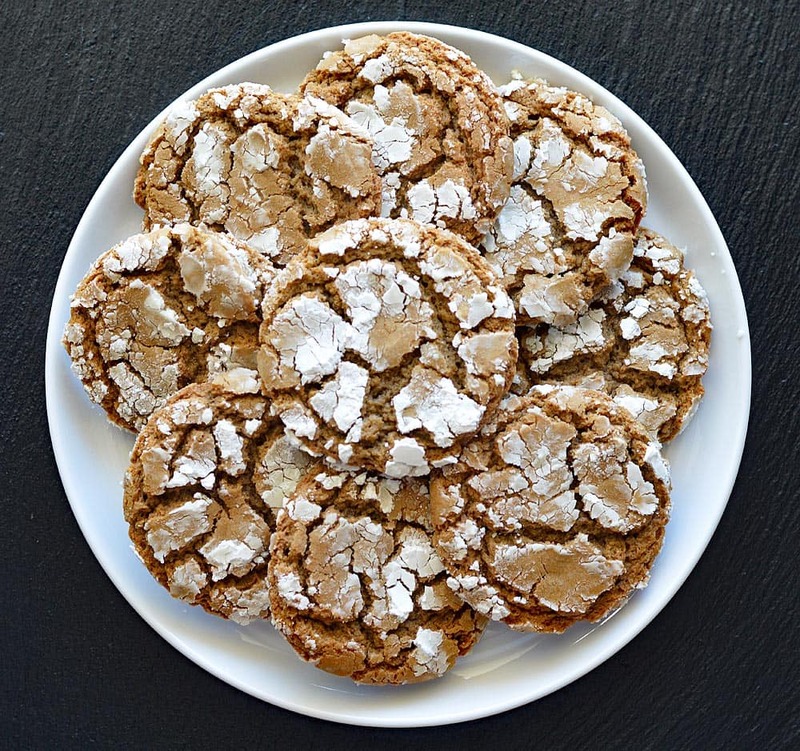 Did you make this recipe for Mexican Crinkle Cookies? Let me know in the comments section below. Melt butter and chocolate. I used the microwave. Stir until smooth. Beat in brown sugar and corn syrup until blended. Beat in flax egg. In another bowl, whisk flour, baking soda, 1 teaspoon cinnamon and salt; gradually beat into brown sugar mixture. IMPORTANT: Refrigerate, covered, until firm, about 1 hour. In a shallow bowl, add confectioners' sugar. Shape dough into 1-1/2-in. balls and roll in confectioners' sugar mixture. Place 2 in. apart on parchment or silpat lined baking sheets. Bake until set and tops are cracked, 10-12 minutes. Cool on pans 2 minutes. Remove to wire racks to finish cooling. Yields about 24 cookies. The dough will be sticky after mixing so it’s important to refrigerate at least 1 hour before attempting to roll into balls.